Like a lot of movie poster designers, I watch a lot of releases online to see what my favorite companies and artists are up to. I love this scene that still really feels like the wild west, where all these rascals are dreaming up new ways to portray their favorite movies in the screen-printed form. And like many, I enjoy watching new and upcoming Mondo releases. I was thrilled to see a full-on art show featuring the work of Australian-based art duo WE BUY YOUR KIDS. 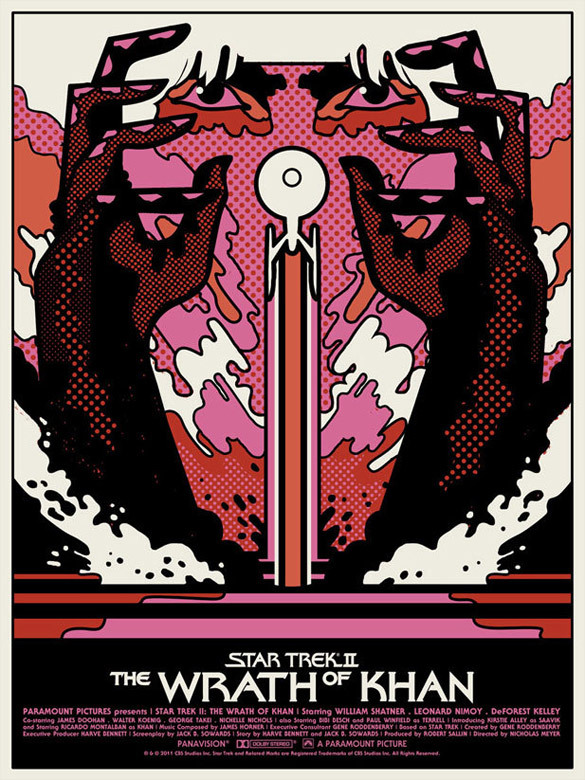 I was captivated by their WRATH OF KHAN poster (seen above) earlier this year and found myself constantly hunting down the image online to “have another look”. So arty and psychedelic and weird. But the biggest reason I enjoy it is because it looks nothing like other Mondo releases. Don’t get me wrong, I love the work of Moss and Taylor and Ansin… but this was such a departure. So strange and amazing. When images started surfacing from the WE BUY YOUR KIDS art show, I knew a blog post was in order. They dropped a few posters online yesterday and I managed to nab a CONAN which I’m pretty stoked about. 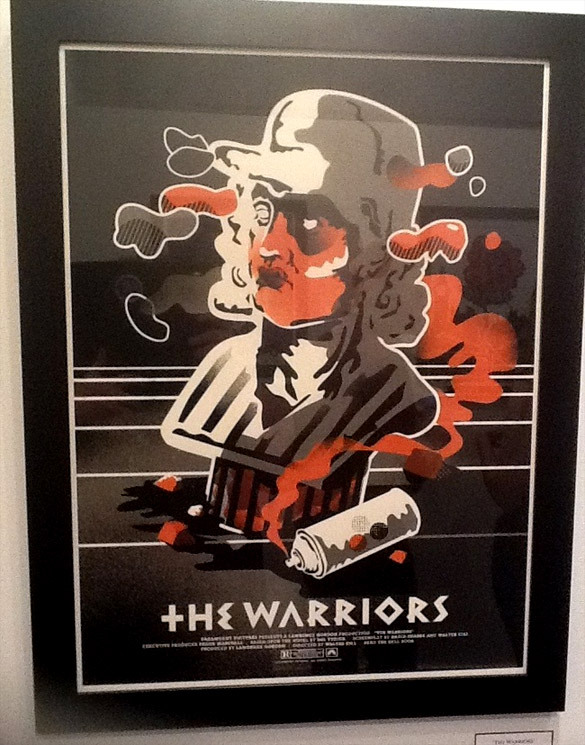 Mondo tends to sell out of posters in seconds, but this drop took a little more time. Bit slower than usual. I like that. It’s by no means a sign that this is of lesser quality than other Mondo releases, but rather it’s straight up different and out there. It’s something new, and I love that. WE BUY YOUR KIDS is one of my favorite new movie poster artists, right up there with that Jay Shaw maniac. 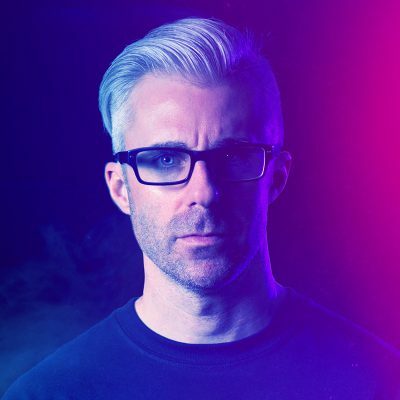 While everyone is mimicking the work of already popular artists in hopes of success, it’s really refreshing to have something fly in from left field. Maybe they’re the design equivalent of “the cool band nobody knows about yet”. I dunno, but I look forward to seeing more WBYK posters in the future. 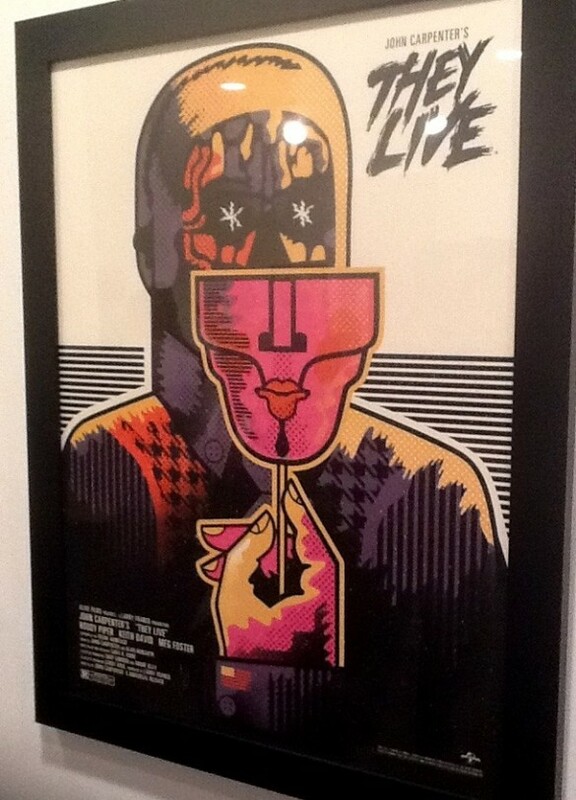 Funky designs, loving the Poltergiest poster, great work. Their posters are pretty strange!! But that I guess is what makes them desirable.. Im still undecided as to whether I like them or not.. 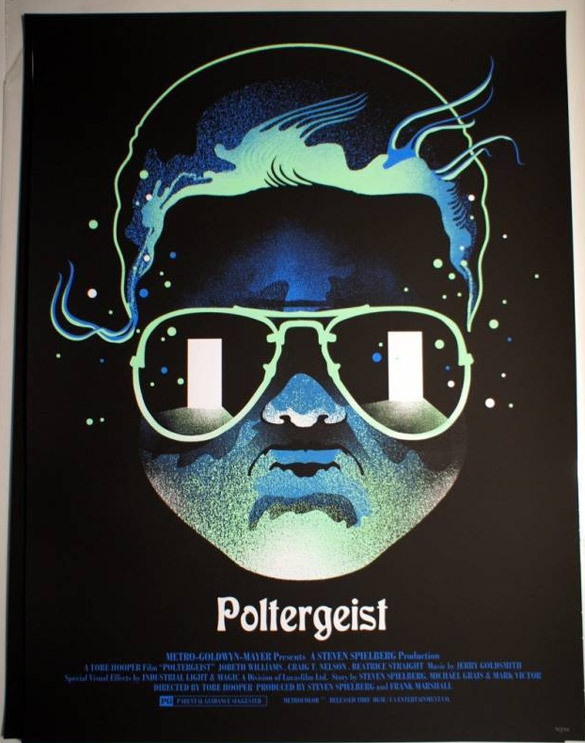 Some I love (Star Trek and Poltergeist) where as some I dont really… I think I like their ‘cleaner & weird’ posters rather than the ‘messy & weird’ posters … If that makes sense!!! Nevertheless, they can pick colours amazingly!! Absolutely love the work from WBYK. I had only seen a thing here and there online from them over the years but never really knew much about em. 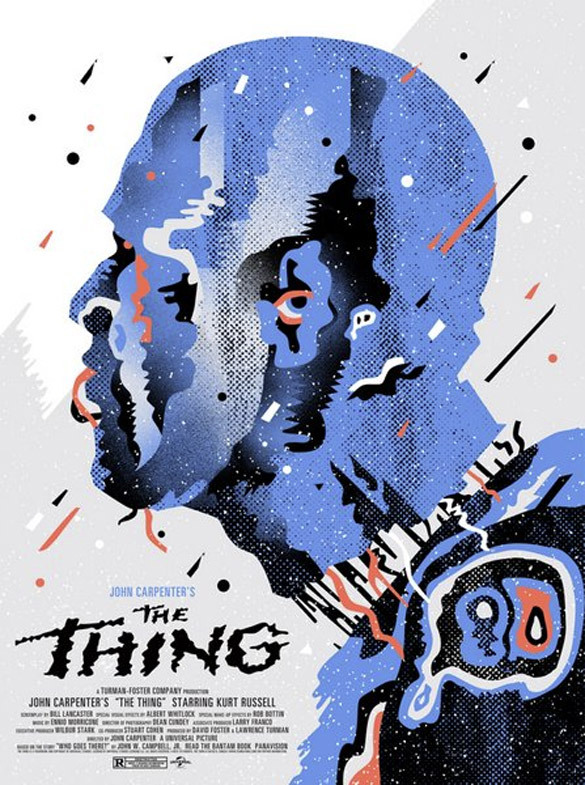 Glad to see they’re getting a big welcome here in the American poster & design scene, it’s well deserved (how great is that The Thing poster?? SO COOL). Totally agree with the Jaw Shaw comparison, he’s actually one of my new favs. Though they’re completely different from each other as far as style you hit the nail on the head: they’re completely different from most anything that’s been out lately. Both are using graphic styles that have roots in 60s-70s poster design but done in a fresh way. Can’t wait to see more from this Aussie duo in the future. 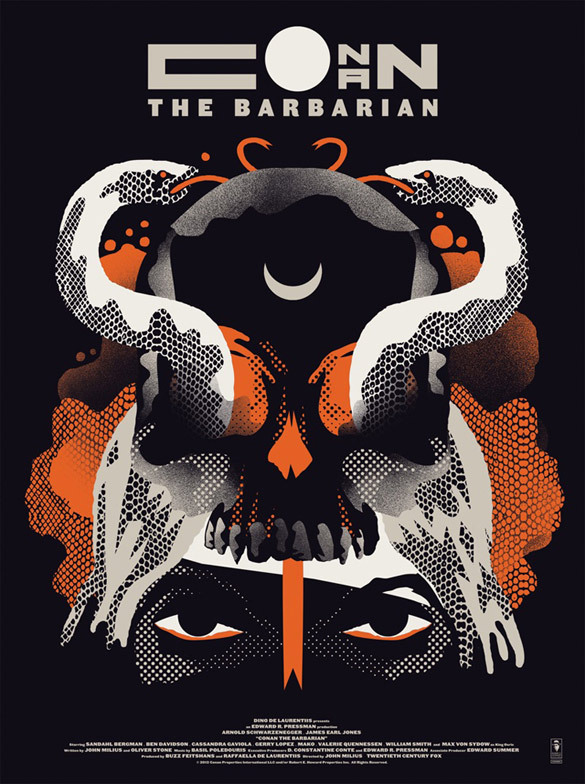 I really like their work but i find myself asking whether these work as film posters and i’m afraid that i don’t think most of them do. Perhaps as book covers. 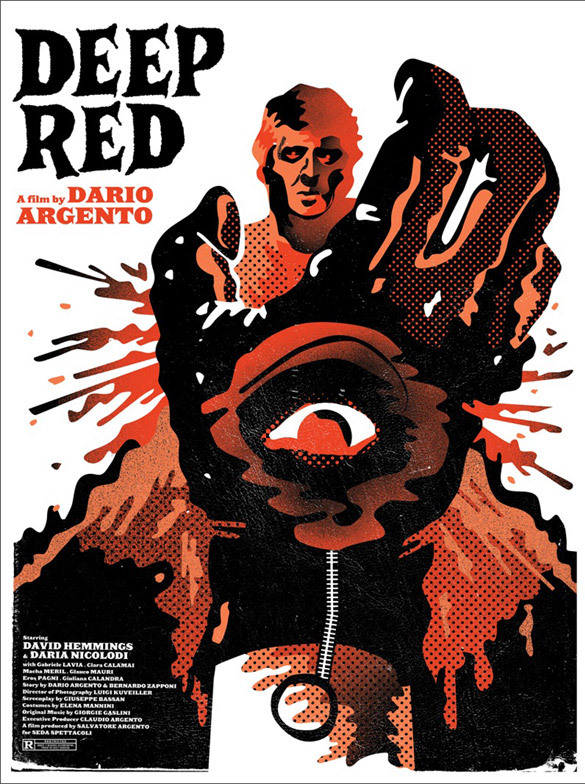 The ones that do work for me as film posters on some level is the ‘The Thing’ poster, ‘Deep Red’ and Psycho. The reason i like these ones is i think they have captured some of the ‘mood’ or film concepts where as the others just…well…don’t. 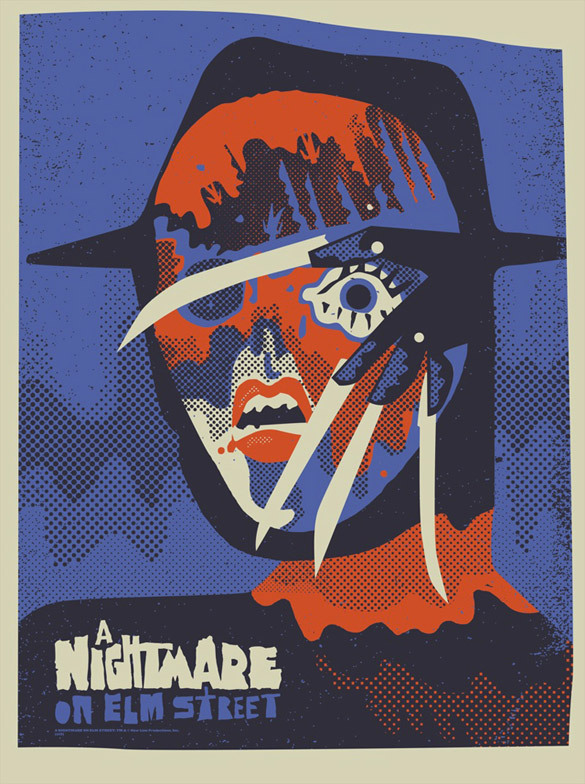 I feel some of the posters are too abstract to work, especially the ‘Conan’ and ‘Nightmare on Elm Street’ posters…though it works for the other ones i mentioned. But, then again, maybe i’m just too attached to these films and they have clouded my judgement. Agreed. Such a fresh style. 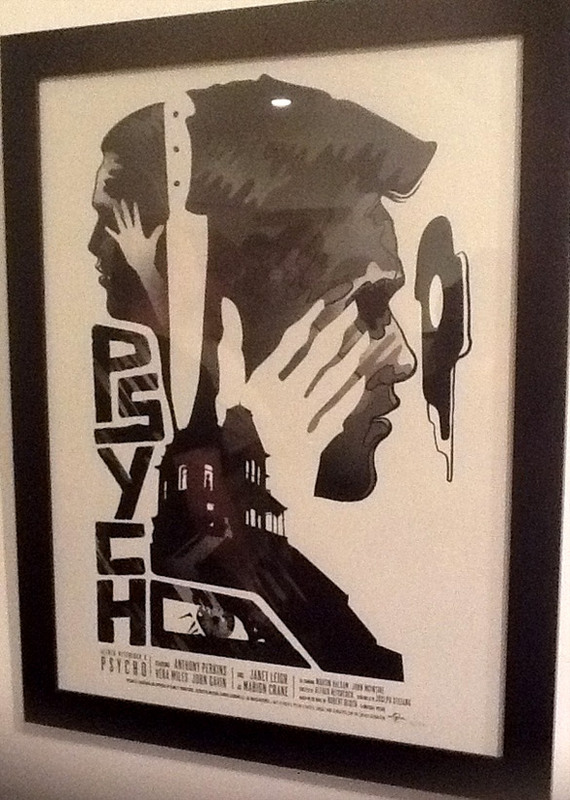 I’ve never bought anything from Mondo until yesterday. I had to pick up their ‘V for Vendetta’ print. These are epic! great styles.